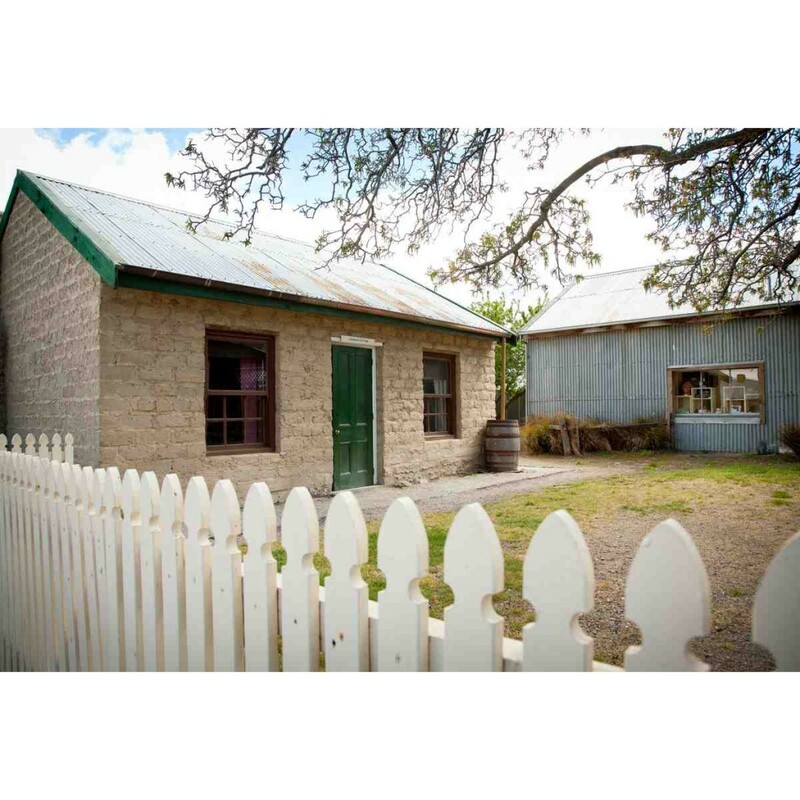 This building was not originally from the main street of Cromwell, but the Board decided it would be appropriate to have a mud-brick cottage in the precinct that was reminiscent of those from the Lowburn and Bannockburn areas that had been built in the latter 1800s, by those settling more permanently in the area with their families. 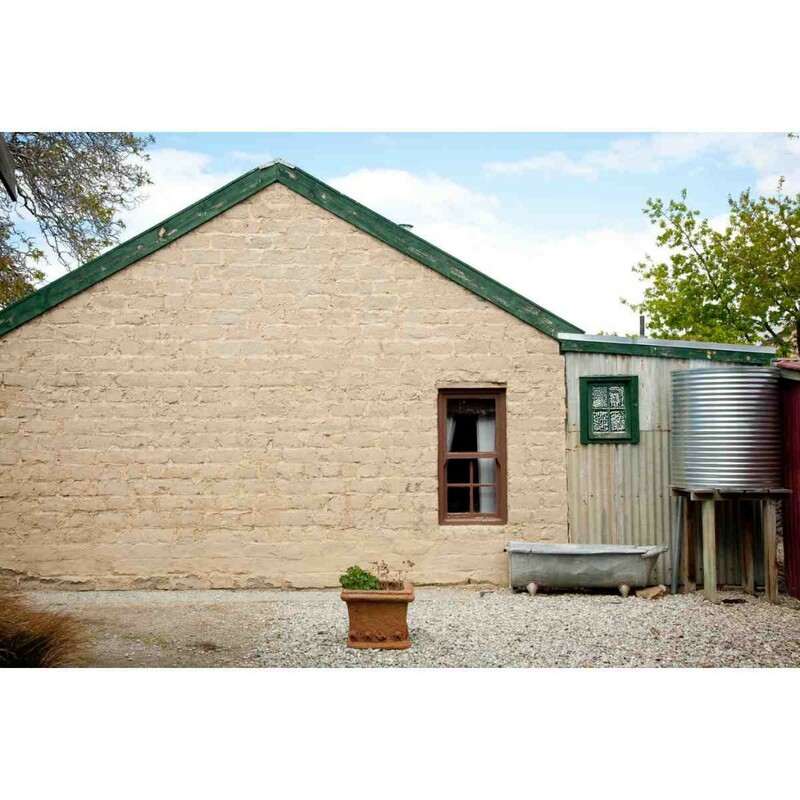 The opportunity arose to acquire a substantial number of mud bricks from the demolition of the woolshed at Bonspiel Station at Moa Creek. The Cromwell Lions Club assisted with manpower to demolish the building and trucks to transport them on pallets back to Cromwell. It is a typical example of mud-brick construction – the walls are a double layer of bricks with the interior walls plastered. The windows and glass would have originally been shipped to New Zealand from England. The small glass window panes lessened the risk of breakage on the voyage. The interior walls were built to show the tongue and groove to the best room. The exposed framing on the reverse side was shaped for show also. The ceiling lining would have been thick cardboard, which had a tendency to sag.